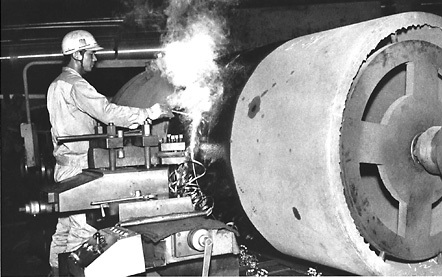 Rotary cutting of the container body on an auto matioc lathe. 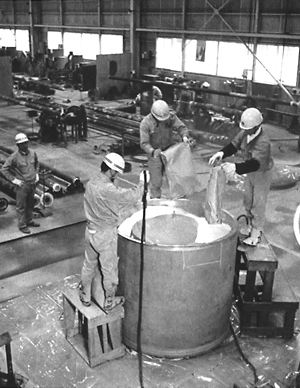 The capsule, inside the finished container, is packed with silica. 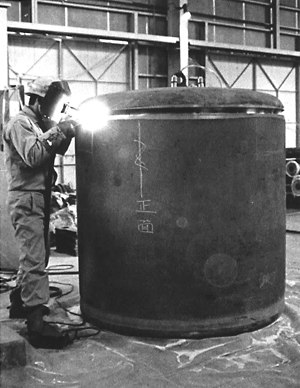 Electric welding seals the container lid.